What a wonderful gift to mankind! From the opening line to its very last word, the Twenty-third Psalm, David's song of praise and prayer of affirmation, brings comfort and confidence to all who reach out for it in times of need. 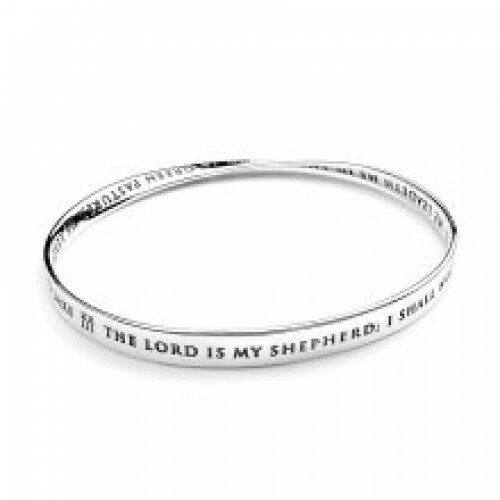 It's the most popular and famous of all the Bible verses and this bracelet features the first three verses.